A bad presentation don’t end up creating a persuasive business case for your product. A really bad one ends up promoting a rival’s product instead. A Microsoft employee was demonstrating the many features of Azure, Microsoft’s cloud solution, when midway into his talk, Microsoft’s Edge browser started acting up. “Here’s a bunch of virtual machines, and we can now look at them…maybe,” he paused the presenter as his browser froze. He tried to laugh off the situation. “I love it when demos break. Yeah, I know”. But what the presenter did next is probably something Microsoft employees would balk at doing, especially in front of a large audience — he went ahead and installed Google Chrome. “I’m going to install Chrome,” he resignedly declared, laughing. The crowded realized the irony, and applauded as the Chrome install screen opened up in the background. But the presenter managed to retain his sense of humour in what must’ve been a difficult situation. He unchecked the box which said “Help make Google Chrome better by sending usage statistics and crash reports to Google.” “We’re not going to help make Google better,” he said to more laughs. The little episode brought into sharp relief how Microsoft has ceded ground to Google in the browser business. Until the mid 2000s, Internet Explorer was the browser of choice for as nearly 70% of internet users; things changed dramatically when Google launched Chrome in 2008. 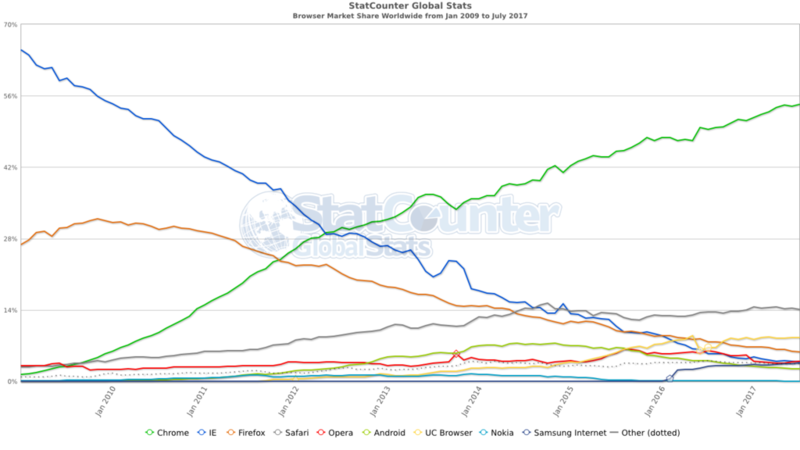 Since then, Chrome has eaten away at IE’s marketshare to the degree that Chrome is now used by over 50% of the online population. 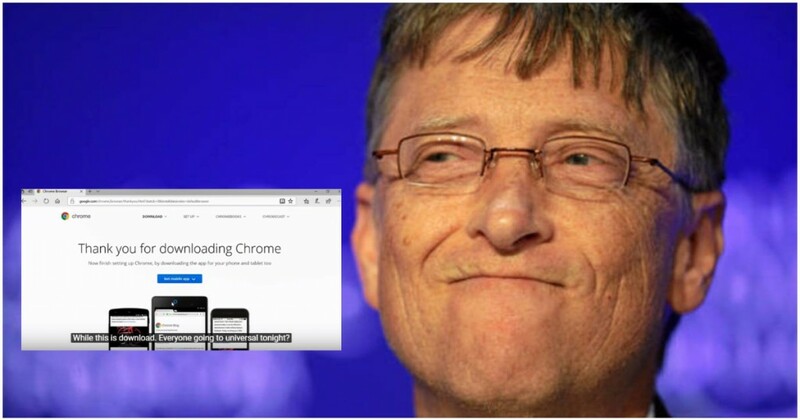 Microsoft launched Edge with Windows 10, but if this little demo is to believed, even Microsoft employees seem to default to Chrome when the going gets tough. And Microsoft is no stranger to gaffes during public facing presentations. Windows 95 had famously crashed on stage during its launch, displaying the dreaded blue screen of death for the world to see, and in 2015, CEO Satya Nadella had struggled to get Cortana to understand his simple voice command three times in succession. While this latest episode wasn’t as high-profile, the fact that it ended up promoting a rival’s product will ensure that it’ll remain a memorable reminder of the browser wars of the early 21st century.